I hope this gets through to all of you. Yahoo has been blocking me a lot lately. Also, I listened to a video this morning where it was explained how they were lied to by the Sheriff, who told them the cattle would be given back to them. They were told by BLM it ain’t gonna happen. Very wisely the two men sharing on the video entreated the Militia to hold steady and not succumb to what they were apparently being set up to do. There were 500 armed militia, very well armed. There were 20 BLM agents with rifles and SUV’s. They were surely outnumbered. There was a SWAT team far away, that could not have come to their assistance in time if the militia had fired upon them. And the SWAT team, itself, was hardly a match for the militia either. 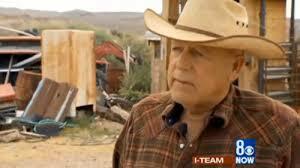 The militia had been goaded to attack the BLM agents, but they didn’t. I was touched by how the men sharing said that they loved all people, including the BLM agents – who were in fact young men who could have been their sons. They saw that the agents would have been killed for sure and the SWAT teams as well, but most of all the action would have opened the door for the armed forces of the government to come in and wipe out everyone. They saw that this was a major attempt at manipulating them into creating a blood bath that would have lead to everyone’s destruction. Sound reasoning and love for their fellow men, whoever they are and whatever they may be doing, changed their focus to being one of patience and waiting it out. They said that time is on their side and that public opinion will eventually be in their favor. Several days ago I sent an email about the Bundy Land Grab and I included a visualization/prayer of planting a Light Column from the heart of God, filled with gold, white and purple light. I am inviting you, again, to continue to send Light fthg and reaffirm this Light Column. 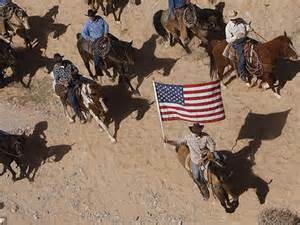 All the Loving and Light that we can send to all concerned at the Bundy Ranch will assist this action to come to resolution in peace.